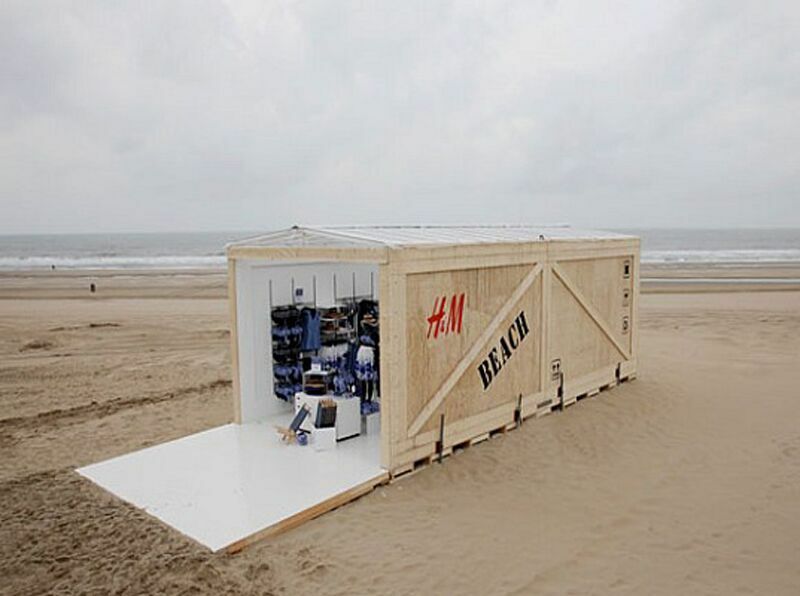 Experiential marketing takes a creative approach to direct offline engagement with consumers. The strategy focuses on helping consumers experience a brand or product in an immersive way. The best experiential marketing campaigns provide a memorable experience, and form a lasting connection between the brand and consumer. From outside the box product sampling, to memorable activities completely unrelated to the brand, we’re going to explore some of our favourite experiential marketing campaigns. In 2012 and 2013, experiential agency TRO came up with an award-winning creative sampling and brand experience campaign. The innovative Guinness Class campaign saw 262 brand ambassadors reach 85,710 consumers across 4,936 venues and 23 cities in the UK in 2013. TRO employed a classic experiential marketing strategy: To target people while they’re ‘already there’ (in this case, at venues that sold Guinness), rather than trying to draw people to the promotional team to participate. Brand Ambassadors visited venues dressed as Guinness-branded flight attendants offering customers the chance to win a free trip to Dublin via private jet with four friends. Consumers had to purchase a pint of Guinness to enter, and every participant was guaranteed a prize. At the very least they could win a free Guinness, iPhone cover, key chains, or a passport case; but each night, one lucky participant and their friends would be whisked away to Dublin in a private jet. Upon purchasing their Guinness, participants shook a prize-generating mobile tablet to discover what they had won. This campaign was a thoughtful way to freshen an ‘old’ brand in a changing market and landscape, in a fun and engaging way. In an ‘sweet’ effort to drive emotional engagement through a clever play on their tagline “Dare to be Tender,” Milka changed their entire manufacturing process to produce 10million chocolate bars all missing one square. Consumers were directed to the website with a unique code to either claim their chocolate square to be mailed to them, or forwarded to someone else, along with a “tender note” explaining the gift. The result: 800,000+ website visits, 500,000+ last chocolate squares sent, 95,000+ shares on social media and over 1.3 million Euro’s in earned media. In a perhaps more affordable experiential marketing style, Sensodyne was looking for a unique way to promote their new product, increase brand engagement, and inform consumers about the impact of tooth sensitivity. Teaming up with award winning agency Hot Cow, they set up three zones in Potter’s Field London, in order to provide a clear link to the capital, and easy press and audience access. Free product samples, advice and demonstrations from leading brand representatives. Featured a four-meter high giant molar with London’s iconic Tower Bridge as the backdrop. Talented Brand Ambassadors invited participants to partake in molar-selfie’s and share on social media, or have their photo taken professionally, and retrieve it online after the event. Featured a Guinness World Records attempt for the World’s Largest Oral Hygiene Lesson. 232 people attended the lesson, which educated, entertained, and encouraged crowd participation. While media mentions were a large factor in the success of this campaign, a presence such as this could easily be achieved in an exhibition, or trade show style environment, to create more brand buzz than the average booth. Agency Creative Brief’s challenge for Boots Pharmaceuticals was to raise awareness of the insomnia-style symptoms many hay fever sufferers are impacted with. Brand Ambassadors also shot freeze-dried and biodegradable tissue petals over the crowds with petal guns, and roamed the area distributing leaflets explaining the “In-sneezia” problem and symptoms. Hay fever treatment samples were also shared with the sufferers. The Results: In addition to the engagement with the huge crowds, the campaign received impressive social stats. Not bad for a campaign that went for one hour. It’s not just the big established brands that can benefit from, or afford to stage a memorable campaign. It’s about the quality of the experience, not the volume. Cleverly tying your campaign in with social media through #hashtags, photo opportunities, and giveaways for social mentions, will help ensure your campaign keeps working for you long after you’ve packed up your promotion. Great experiential marketing is a thoughtful mixture of creativity, and a more holistic approach to modern consumer engagement. We need to consider all senses and emotions of our consumers, and how we want them to ‘feel’ as they interact with our brand. All it really takes is an excited brand, a great idea, and a great team. Get brainstorming and have fun with it!